← Happy 65th Birthday to the NHS! Clive joined the disabled children’s charity Whizz-Kidz at a star-studded awards ceremony to celebrate the achievements of young disabled people from across the UK. The Kidz Unlimited Awards, held in the House of Commons, and hosted by Channel 4’s Rick Edwards, showcased the talent and achievements of Whizz-Kidz Ambassadors from across the UK. Clive met with young Ambassadors from the charity to congratulate them on their achievements and talk about their aspirations. ‘It was fantastic to meet the Whizz-Kidz Ambassadors at the Kidz Unlimited Awards – they really are an inspirational group of young people. ‘Whizz-Kidz do great work locally providing disabled children and young people with wheelchairs and with life skills through their work placements programme and wheelchair skills training. Whizz-Kidz provides disabled children and young people across the UK with life-changing mobility equipment and also provide opportunities for disabled youngsters to learn valuable life skills, make friends and become more independent, through their youth clubs, residential camps, wheelchair skills training and work placements programme. Whizz-Kidz has transformed the lives of 3 disabled children from Eltham by providing wheelchairs, costing in the region of £20,000 – enabling the youngsters to lead fuller and more active lives. 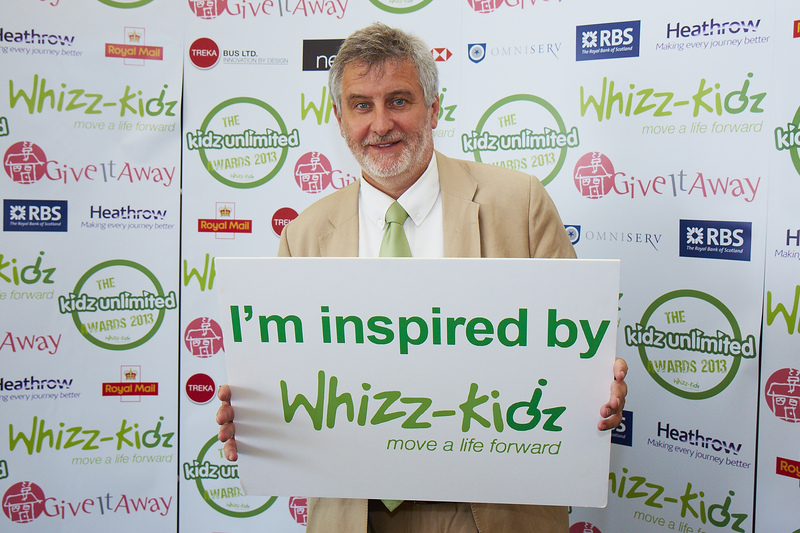 Since 1990 Whizz-Kidz has changed the lives of nearly 16,000 disabled children – often literally overnight. The charity estimates there are still over 70,000 children in the UK waiting for the right equipment to fit their young lives. Whizz-Kidz supports young people to access the appropriate mobility equipment – including powered wheelchairs – at the right time; and delivers wheelchair skills-training, work placements, and other life-skills to help their transition from childhood to adulthood.